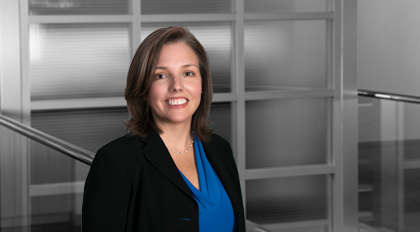 Rachel Coyne practices in the area of corporate taxation, focusing primarily on state and local taxation. Coyne assists taxpayers (individuals, closely-held businesses, including pass-through entities, and large multi-state corporate taxpayers, including Fortune 500 companies) in a wide range of state tax matters; developing innovative strategies for addressing these state tax issues in a cost effective and efficient manner. Coyne’s experience includes managing state tax audits and representing taxpayers in controversies; conducting due diligence and advising on related state tax structuring issues in merger and acquisition transactions; monitoring state tax legislation and assisting taxpayers with evaluating the impact of state tax legislative proposals and changes; consulting on day to day state tax issues, compliance and planning; counseling clients on state tax nexus issues, for both income and franchise taxes and sales and use taxes; and representing taxpayers in negotiating and completing voluntary disclosure agreements with state tax agencies. Coyne advises taxpayers on state tax issues involving all categories of state and local taxes including corporate income, franchise, personal income, sales and use, gross receipts, withholding and other payroll taxes, property, and public utilities taxes, as well as, economic development matters and unclaimed property. Coyne represents taxpayers in a diverse group of industries, including manufacturing, retail, financial services and securities, insurance, health care, transportation, real estate development, construction, technology, entertainment, media, pharmaceutical, public utilities and the service industries. Prior to joining Moore & Van Allen, Coyne worked for a national accounting firm focusing on state and local tax planning and handling controversy matters.